Are you marketing to local customers? Current statistics show that the majority of people searching online are looking for businesses nearby. Here’s our essential guide on how to successfully market to them. When you’re trying to reach bigger, broader audiences as your business continues to grow, it’s easy to overlook those customers closer to home. Marketing is now fully digital, enabling us to connect with customers on a global scale easier than ever before, but neglecting the local market is an oversight that can prove detrimental. Google says that half of mobile searches lead to local in-store visits within a single day, whilst 34% of people who perform a local search on a desktop or tablet have the same outcome. That means a significant percentage of inquiries and sales comes from the local market, which makes this audience extremely important to the success of your business. With that in mind, here are 4 ways to strengthen your local marketing. We’ve already mentioned how ranking in local search has a direct impact on in-store traffic, so let’s begin with a few SEO basics for local business. A great place to start is by signing up with Google My Business to create your free business listing on Google. To maximise how often your customers see your business in local search results, you’ll need to fill out your profile with as much information as you can to create a relevant and enticing listing. 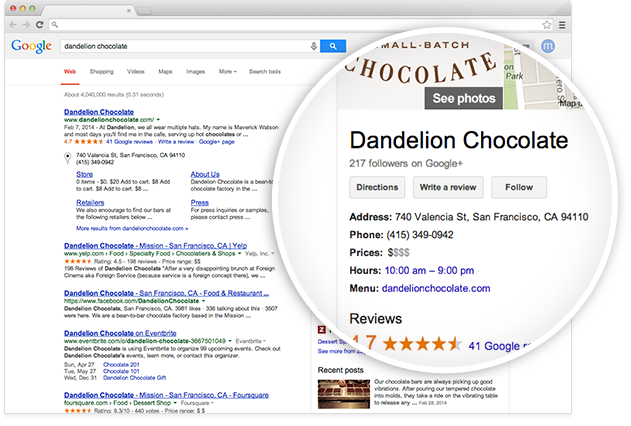 This means using relevant keywords in your business/locale descriptions where appropriate. Customer reviews also play a huge role in local search results, as does a well-optimised website with fresh and informative content. 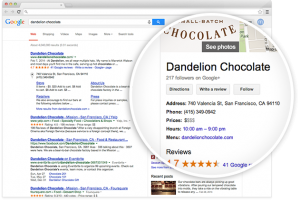 To make things nice and easy, Google Support provide a descriptive breakdown of all the elements you need to consider for an effective listing profile right here. Speaking of a well-optimised website, Google’s own SEO guide is a good place to start in order to make sure domain-level and page-level optimisation is fine-tuned. The document covers optimising page titles, meta descriptions, site structure, URLs and navigation. It was first published in 2008, yet it covers the basics well enough and still holds true today. Half of mobile searches lead to local in-store visits within a single day. Finally, there’s good old fashioned link-building. Some sources will tell you that link building is an outdated practice, whilst others will say it’s a necessity for search rankings. Even Google’s official stance is a little mixed: informing us to “make sure other sites link to yours” while at the same time “avoiding link-building as it can do more harm than good”. The fact of the matter is, domain-level link features and page-level link features are still the top two ranking factors even today (as of 2017). But keywords and content factors aren’t far behind. Build something worth linking, to begin with. Start by making sure you have a well-optimised website with fresh content first; getting your Google My Business profile sorted second, and then move on to link-building when you have the foundations in place. Link-building done right is a huge time investment, so doing things this way around is definitely the wiser option. You may discover the first two steps combined are enough to boost your local search rankings anyway. But if you still feel inclined to incorporate link-building for even better local search rankings, then Moz has listed 11 ways to do it properly. Ultimately, social media platforms should be used as a way of a) delivering relevant and engaging content to audiences on a real-time basis, and b) directing traffic to your website. Bombarding audiences with ads and offers all the time will get you nowhere. In fact, a study by Google suggested there was no real correlation between media usage and influence anyway. Just because people click on your Facebook page and follow you on Twitter, doesn’t necessarily mean they are going to buy from you. Social media is more about brand awareness and consumer experiences. But that doesn’t mean you can’t leverage these platforms to focus your attentions on local audiences. Build relationships with local businesses, organisations and groups to increase the number of local people viewing your own content on social media. You should also keep an eye on what’s trending locally and tie-in your own content by using relevant hashtags (so long as the content you’re putting out there has substance and isn’t just an excuse for your business to jump on a publicity bandwagon). 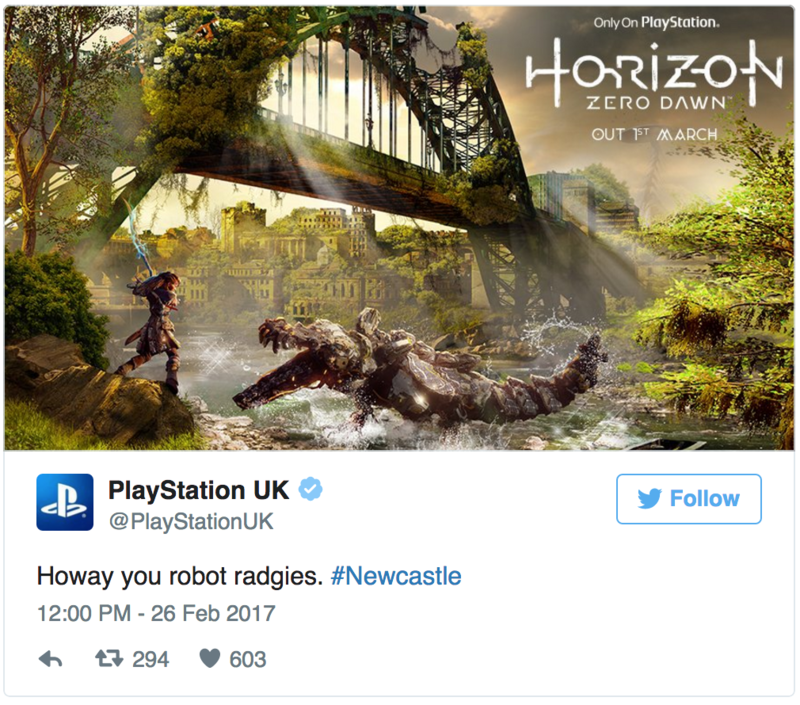 When PlayStation launched a brand new IP earlier this month, Sony’s marketing machine came up with a clever way to publicise the game on Twitter. 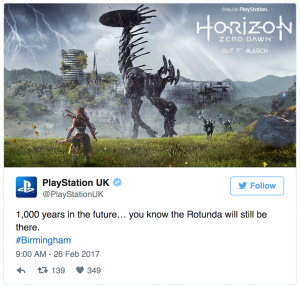 Horizon: Zero Dawn is a futuristic adventure where humans have reverted to a hunter-gather state and robotic dinosaurs stalk the earth — a pretty standard affair, then. The way Sony marketed the game on social media, on the other hand, was anything but standard, as UK audiences were treated to a series of commissioned photoshops (above and below) showing what Britain might look like in the game’s post-apocalyptic world. Newcastle, Liverpool, and Birmingham were amongst the few to be depicted as ravaged cityscapes — each one showing off familiar landmarks reclaimed by nature. 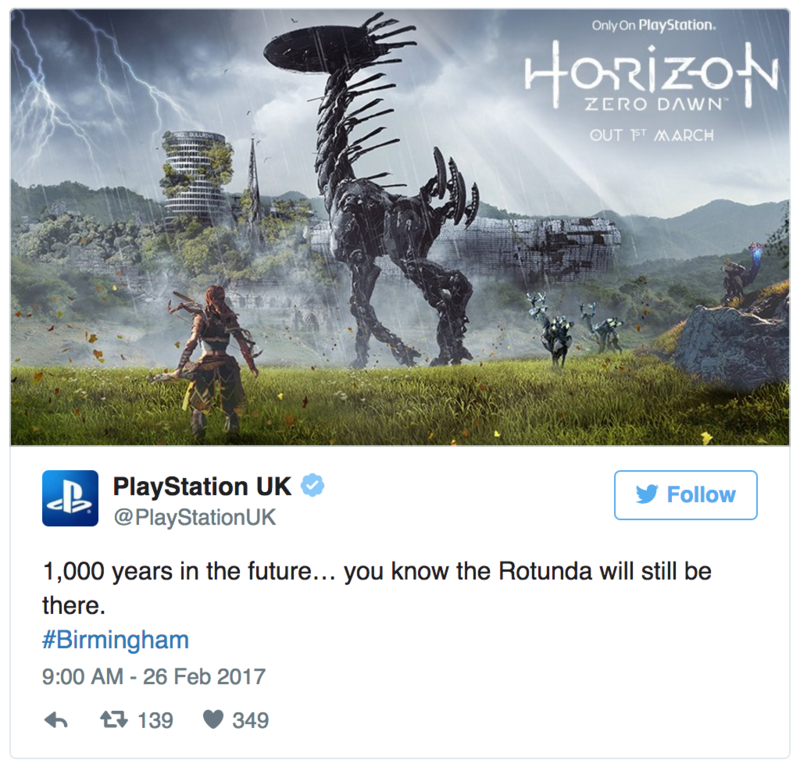 It’s a perfect example of how social media should be used to engage people, especially when it comes to targeting local audiences. Recognising the attitudes customers have towards different dialling codes is extremely important for SME’s and sole traders. Whilst the majority of customers perform searches and calls on their mobiles, they’d still prefer to contact a business with a landline number. According to research by UK firm Virtual Landline, 50% of those surveyed said they would call a landline number first, compared to just 6% who said they would call a mobile number. Mobile-only businesses don’t convey the professionalism and longevity customers are looking for when conducting a business search, especially when customers are looking at businesses in their local area. 50% of customers prefer to call a landline number first, compared to 6% who said they would call a mobile number. Of course, installing a landline can be expensive, so you may want to think about purchasing a local number and having it routed directly to your mobile. The proximity of a tradesman also remains imperative to consumer interest (85% of consumers find proximity very or fairly important), so being able to appear local whilst working from any location is a real benefit to small businesses. Mobile-friendly websites are an absolute necessity in this day and age. LSA (Local Search Association) state that mobile has overtaken desktop in both local searches and regular Google searches, meaning the majority of people are more than likely viewing your website on a phone or tablet. As you probably already know, websites that are not optimised for mobile won’t always function on a mobile device, or at the very least, images and text won’t render properly, which makes for an unsatisfactory user experience. You may not already know that mobile optimisation is essential for ranking on Google (yes, we’re back to SEO again). If your website is not optimised for mobile, it will no longer appear in the Google search results on a mobile device. The update was introduced a couple of years ago and Google says it’s their way of ensuring mobile users are only provided with useful, relevant websites. Without a mobile-optimised website, your business is missing out on a significant number of customers, no matter how relevant your current website is to their needs. In fact, Google says that not having a mobile-optimised website is like closing your business to new and existing customers for one extra day in the week.